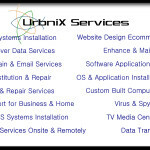 URBNIX is a company that offers IT, Telecommunication Consultant and Project Management, not to mention a plethora of other services. IT and Telecommunications is the method that all modern companies use to establish their branding of products and services in the marketplace. Our mission is to ensure that your company is driving forward in order to reach your goals now and into the future. Urbnix is a solid, reliable company offering their expertise in state of the art IT and Telecomm to keep your company up to date with the latest technologies. Urbnix uses the disciplines of planning, organizing, securing, and managing resources to achieve specific goals. We use our expertise in project management to assure these disciplines. A project should be a temporary endeavor with a defined beginning and end. It must be time-constrained, and controlled by funding or deliverables and must meet unique goals and objectives in order to bring about beneficial change or added value. The temporary nature of a project stands in contrast with business as usual. Projects operate in an environment which is repetitive, permanent, or semi-permanent. Functional activities must produce products or services or they are a waste of time and money. In practice, the management of IT and Telecommunications systems are often quite different, and as such requires the development of distinct technical skills and management strategies. 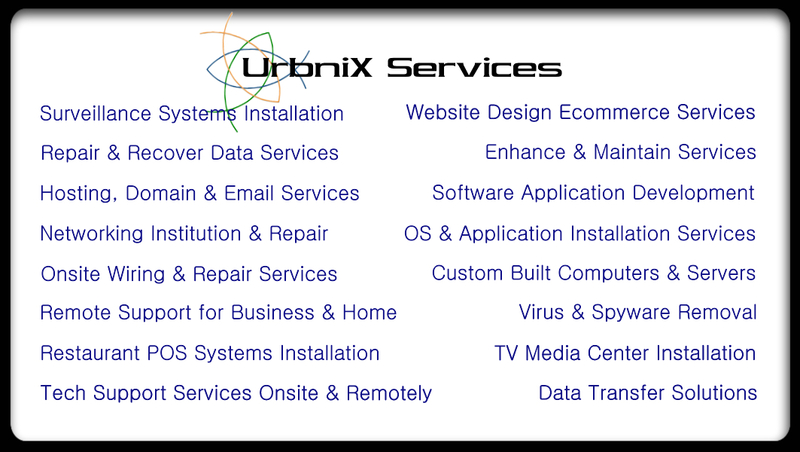 Urbnix will make your business strong in our competitive world by developing, supporting and organizing your IT structure. We offer your business a class of professionals with worldwide experience in the following fields of endeavor.